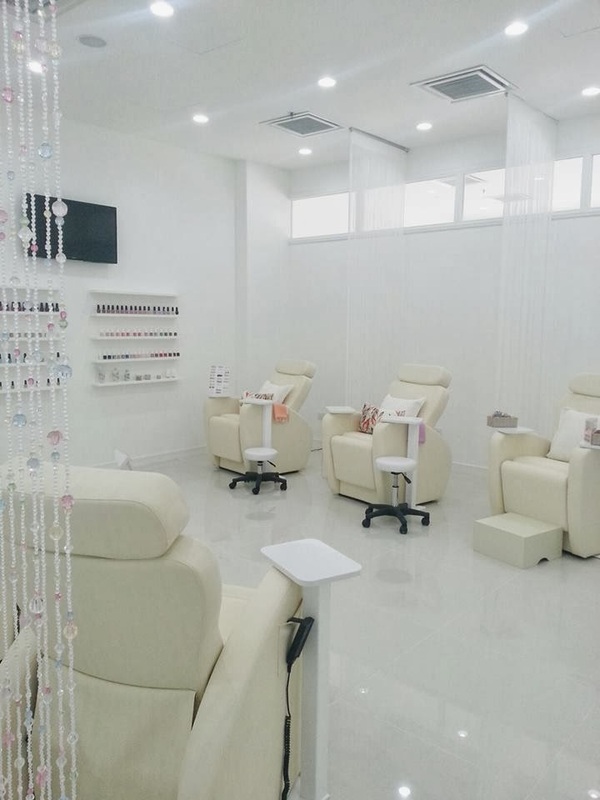 HARU is a Japanese nail salon which they used Bella Forma Japan for their gel nail services. Bella Forma Japan is quite a renowned brand in Japan, famous for its superb quality and gentle to nails. Besides that, you will see the difference between local and Japan gel nail services. 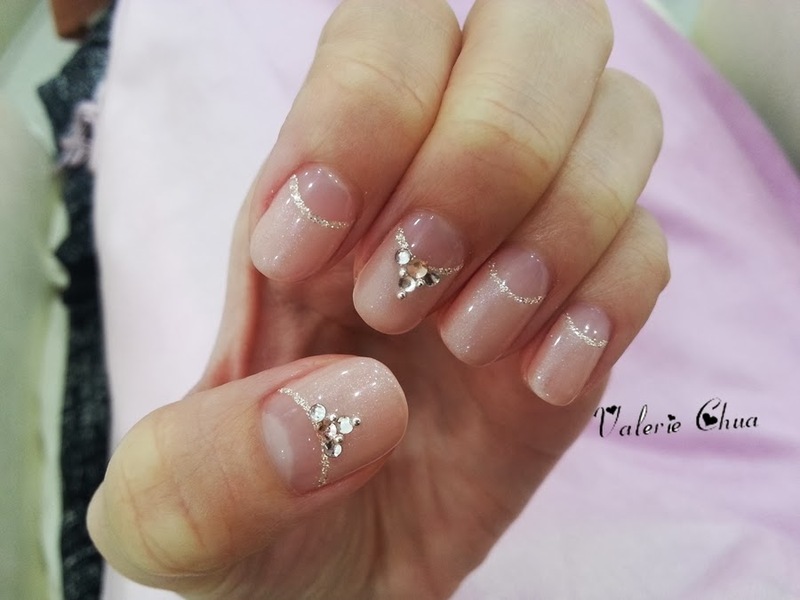 Japan gel nail services tend to be more gentle which they don't buffer too much on the surface of your nails to allow the gel to stay and 'cling' on your nails. 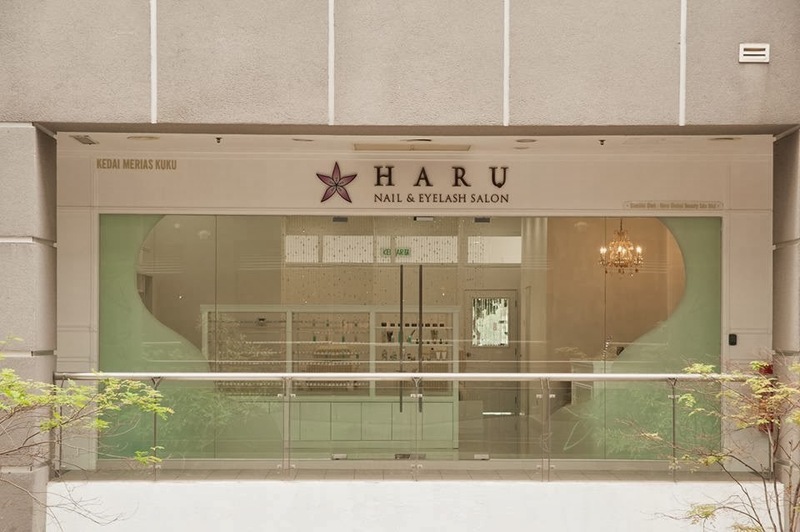 Besides make sure you go back with very nice gel nail, HARU makes sure your nails are being taken care of and minimize the harm of buffering and chemical. This is why I fall in love with HARU gel nails even thou they are a bit pricey. There were no photos of the process of gel manicure as both of my hands were being taken care of by the two passionate manicurists. My gel pedicure - Applying the color. Using the LED light to dry the gel. Time to decorate my toe nails. Last step is to dry the top coat with UV light. Tada!!! My gel finger nails! A reverse French manicure using champagne color as the base and decorate with silver/gold line and rhinestones. According to the Japanese manicurist, this color that I have chosen is the most genki color in Japan now. I do have quite a good fashion sense I guess. LOL. I am truly satisfied and happy with my 2014 Chinese New Year gel nails. What say you? Get yourself one and experience the differences of how Japan gel nail services can offer you! Remember to make your appointment before hand to avoid disappointment! 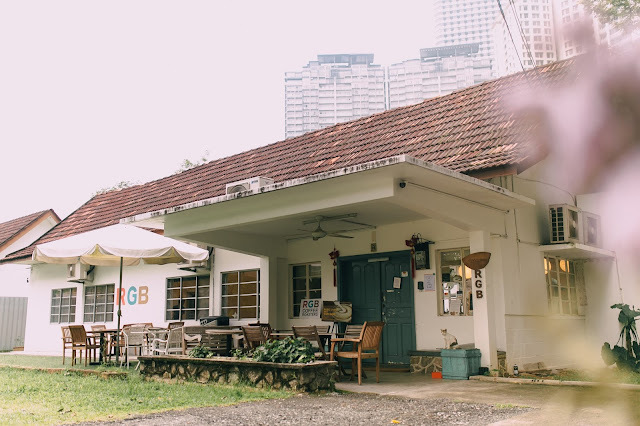 Jalan Dutamas 1, 50480 KL.